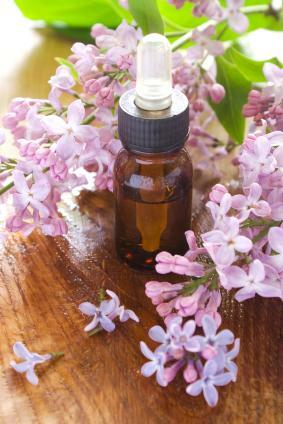 Hand-blended essential fragrance oils are a fun and fancy alternative to typical perfumes. The fragrances cling to your skin longer than regular perfumes, yet their scents aren't overpowering. These oils are widely available if you just want to purchase a few of your favorite blends, but you might also enjoy creating a few custom blends of your own. You can purchase blended oils that are designed to smell like mainstream perfumes and colognes, as well as oils that contain just a couple of scents blended together. You can even buy your own essential oils and carrier oils to experiment with yourself. Hayward Enterprises: Here, you'll find a combination of scent knock offs that are fairly close to original commercial scents, as well as single note scents that you can wear alone or layer. There are several packaging and size options, and the prices are low. You can save even more when you purchase several scents at once. Exotic Fragrances: This site has similar offerings to those at Hayward Enterprise. You can find scent replicas of designer fragrances, as well as single notes like blueberry and cinnamon. If you're interested in making your own hand-blended scents, you will also find essential oils and carrier oils here. Again, prices are very reasonable, and you could spend less than $10 on 1-ounce oils, although pricing varies by fragrance and size. Wellington Fragrance: Here, you'll find designer oils, feng shui oils, oils by zodiac sign, and traditional oils. If you're looking for a lot of variety in one place, this site may be worth exploring. Prices are competitive with the other sites, and they vary by scent. Scentsational Shoppe: There are men's, women's, and unisex oils here, and the pricing is also competitive. If you feel like branching out from the oils you put directly onto your skin, there are also diffuser sticks and body butters available. Mountain Rose Herbs: For a wide selection of oils you can mix on your own, this is the place. You won't find designer kickoff fragrances, but you'll find authentic essential oils, blends, and kits (like the Chakra set for yoga and meditation). Prices vary widely from under $10 to well over that price. Whether you can't physically tolerate traditional perfumes or you just want a creative project to enjoy, it's relatively simple to make essential oils in your own home. The recipe below takes five days to complete, and you can use it to make a variety of oils that you can hand blend to create your own custom scents. Keep in mind that essential oils shouldn't be applied directly to your skin because they can cause irritation. Always dilute your blends with a carrier oil, such as jojoba oil, sweet almond oil, or olive oil. The carrier oil helps buffer the essential oils, but it doesn't have enough scent of its own to interfere with the scent you want to create. Place 1/4 cup of flowers, herbs or peel in a Ziploc plastic bag. Close the bag and press out the excess air as you go, and then firmly tap the outside of the bag with your mallet to cause a slight breakage/bruising of your main ingredient. Be careful not to pummel the bag because that will ruin your ingredients. Pour the 1/2 cup of oil into a wide-mouthed jar. Add your 1/4 cup of bruised main ingredient, and put the lid on the jar. Shake the jar gently until all ingredients are covered in the oil. Keep the jar at room temperature on your kitchen counter or somewhere else where it will not get overly cold or hot. After 24 hours, use your cotton gauze as a strainer to pour the oil from one jar to the other. The bruised ingredients will collect in the gauze. Squeeze the gauze and its contents to get as much oil transferred as you can. Discard the ingredients in the gauze, and repeat Steps 1 through 3 with new petals, herbs, or fruit peel. Don't add more oil. Just keep adding the dry, bruised ingredients to the same 1/2 cup of oil so it will become more potent over the course of four days. Repeat the entire process of adding more bruised ingredient, straining the oil, and squeezing the gauze every 24 hours for four days. After the four days are finished, strain the oil with the gauze one last time. Use your funnel to pour the oil into the smaller colored glass bottles. Seal them with a lid, and you are the proud owner of your own homemade scent! Each of these essential oil mixtures should be diluted with 80 drops of chosen carrier oil after after they have first cured for seven days. Combine the recommended number of drops for your chosen blend in a dark bottle. Seal the bottle and place it in a cool location out of direct sunlight for seven days. This will give the essential oils time to thoroughly blend together, and they may actually smell quite a bit different after a week. You can make adjustments by adding a little more of the individual scent you want to boost. After seven days, add the 80 drops of carrier oil to the bottle, and it's ready to use. Feel free to branch out and create other blends. The ideal blend should contain about 20 percent essential oils and 80 percent carrier oil. Choose the essential oils you want to use and begin experimenting with the blend before adding the carrier oil. This will make it easier for you to adjust the fragrance. As you begin creating your blend, keep track of exactly how many drops of each essential oil you add to the blend. This will help you multiply the blend later on if you want to create a larger batch, as well as help you know how much carrier oil to add once your blend has cured. Start out by adding just a few drops of each essential oil you want to use to your bottle. Once you've found a pleasing ratio, multiply that to reach your ideal number of about 20 drops of essential oils. Seal the bottle and store it in a cool place out of direct sunlight for a week. If you're happy with the scent of your cured blend, add the carrier oil. If not, adjust as needed and then add the carrier oil. 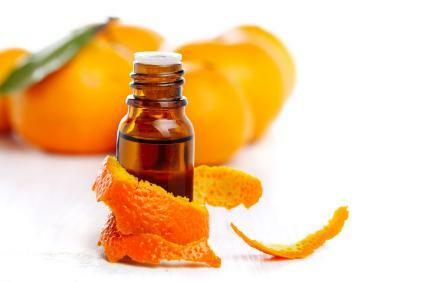 Always test each essential oil on a small patch of your skin before you begin using it liberally on your body. 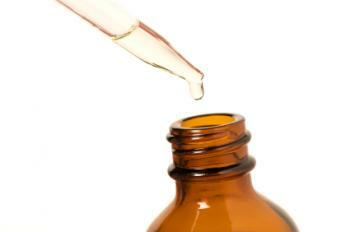 The essential oil should be diluted with some carrier oil before you test. If a particular oil causes an unpleasant reaction, you'll know not to use it in any of your personal blends. In addition to testing individual essential oils, you may also want to test your finished blends on one small area, just to be sure the blend isn't too harsh. If needed, add a little more of your carrier to further dilute the blend. Even hand-blended fragrance oils are still fairly concentrated, so just apply a small amount to your skin. Focus on your pulse points, much like you would with a traditional perfume. Some people even apply the oil lightly to a few strands of hair since your hair is capable of holding the fragrance more effectively than your skin. However you choose to apply your blends, take a deep breath and enjoy.